The builder and restorer Ruslan Tarpаn is a prominent figure in the Odessa business world, but has a media reputation of being a private person. He is widely respected for his association with the restoration of Katerynyns’ka Square, an emblematic architectural landmark in Odessa, whose facades and interiors were both burnished by his company “Incor-Group”. The Odessa Review conducted this interview in his office, which is symbolically located in a historic building beside the iconic Potemkin Stairs and looking out at the Duke de Richelieu. 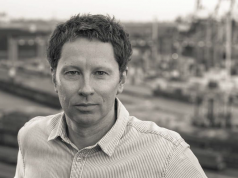 In a book lined office once occupied by the most successful mayor of the city in the 19th century Grigory Marazli, we spoke to Ruslan Tarpan about Odessa and architecture. 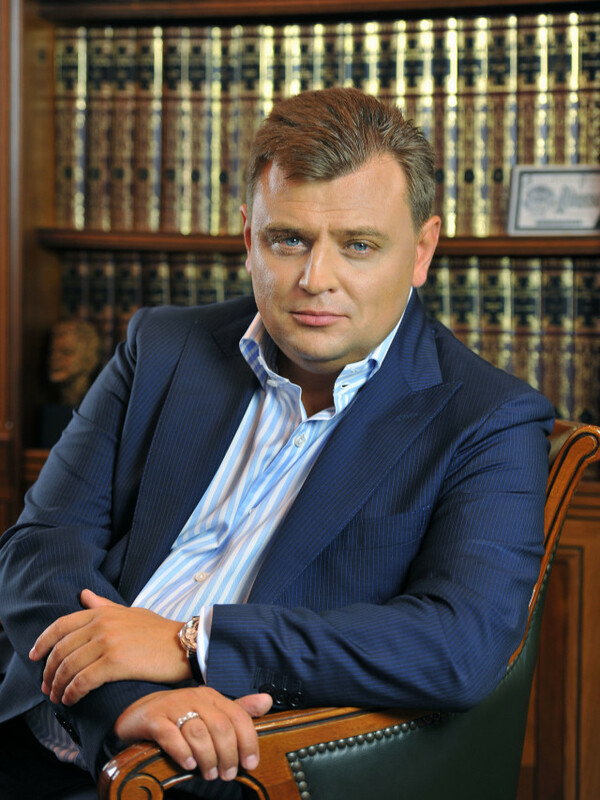 Ruslan Tarpan is an investor, businessman and philanthropist. He was born in Odessa, where he continues to live and work. 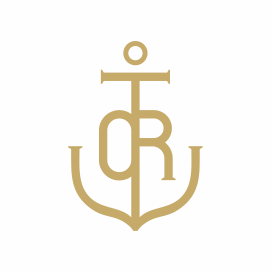 His construction investment holding company “Incor-Group” was founded in 1997. It acts as a general contractor for infrastructural, social, and reconstruction projects on the municipal and national level, and implements engineering projects abroad. Mr. Tarpan holds a doctorate degree in economics. He has been involved with the socio-economic and infrastructural development of Odessa, as a deputy in the city council in 1994-2010, and as the creator of an ecological project involving the deep water release of treated wastewater to a distance of 4200 m from sea shore. Mr. Tarpan is married, raising three children in Odessa. The Odessa Review (Katya Michaels): Tell us how you choose the buildings that you will work with? RT: I can say with certainty that we never purchase a building without having full information about its history. Starting with the allotment of the land on which it stands, its first owner 100-150 years ago, and even considering the “energy” of the location – if we have any doubts on such points, we decide against purchasing. OR: What kind of research do you conduct in the process of restoration? RT: For historical references, we turn to the “Archive of the building committee” which holds all the permits and licenses since 1803. Odessa is incredibly lucky, in comparison to other cities, that this archive has been completely preserved. 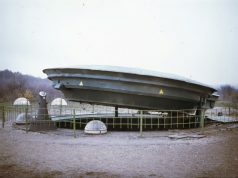 In 1941 it was evacuated on two barges. One barge, containing communist party documents from 1920 to 1941, had burned down, but the other, with archives from before 1920 survived. After the war this archive returned to Odessa. We have a dedicated team of researchers working with these records, one of whom was the famous ethnographer Oleg Gubar. In fact, Gubar’s study of the archive led to the publishing of the monograph “The History of City Planning in Odessa”, a fundamental work spanning two centuries of development. OR: It is a widely held opinion that Odessa suffers from the absence of a definite development strategy. Do you have your own vision, in terms of architecture and generally? RT: Architecture is a mirror of the socio-economic environment at any moment in history. First we have to decide exactly how we want to see the city evolve. Once we have that answer, it will be easier to find solutions. Odessa has a number of priorities for development, among these are its industrial and academic potential. Tourism, on the other hand, will never be a main source of income for the city. We should understand this, we are not Nice where the active tourist season runs for eight months a year. The architectural image of the city will be shaped by the general strategy of development. 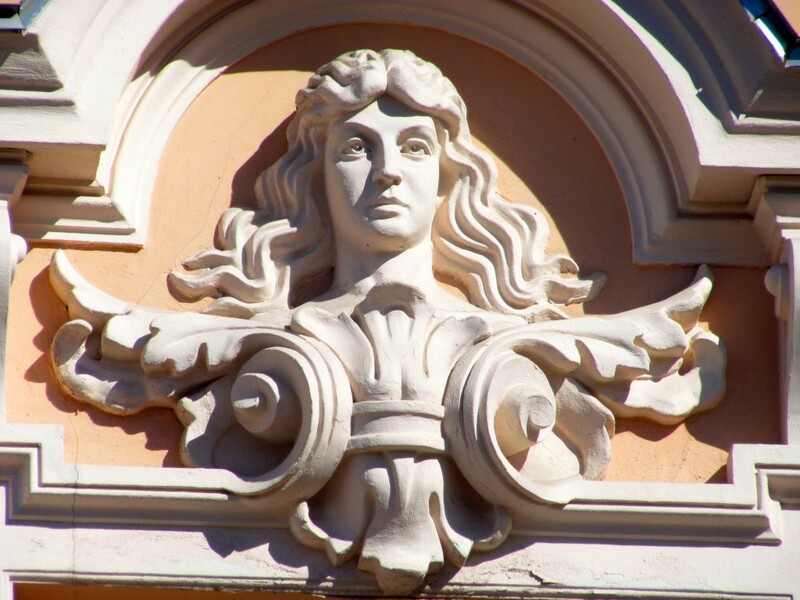 OR: Which buildings in Odessa are of the most historical and architectural interest to you? RT: There are three that I find especially fascinating. One is the building of the first Odessa hospital for marine officers at Pastera street 5/7 — where the Hospital for Infectious Disease is located now. The empire invited a famous french architect Jean-Francois Thomas de Thomon who was tasked with demonstrating his talents. He constructed a number of buildings that have high national significance today, including this hospital in 1806 and warehouse buildings on Mytna Square. It is interesting to note, at that time it was believed that larger volumetric dimensions of a room would prevent the sick patients from cross-infecting each other, so Thomas de Thomon took an unusual approach by planning a ceiling height of eight meters with a room width of six. In short, after this practice run with the hospital, he began receiving commissions for palaces. Another great building is Hotel and Shopping Arcade Passazh designed by the Polish architect Lev Vlodek. According to his plans, the building was supposed to be much wider, spanning from Deribasovska to Hretska street, but the owner was unable to buy the neighboring buildings for these purposes. Thus we see the “unfinished” design of Passazh, it came out in the shape of an “L”. An interesting fact – the construction of Passazh (which was remarkably completed in just one year 1888-1889) required the demolition of a building from Pushkin’s time, the beginning of the 19th century. 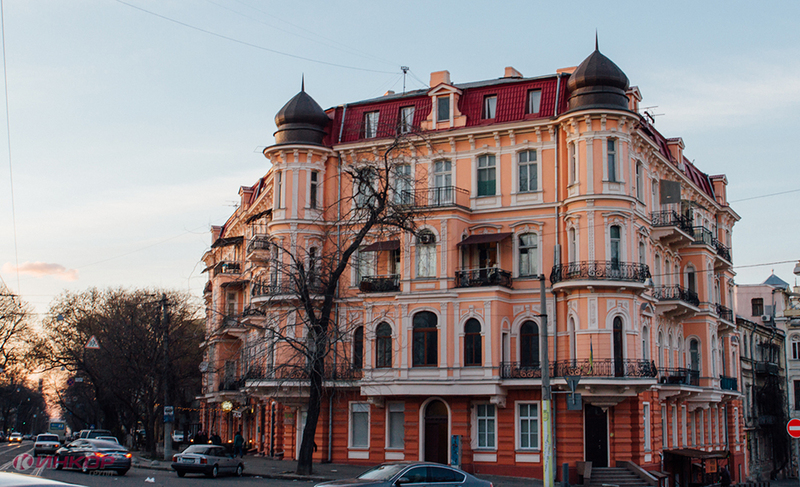 Finally, the third is one of the apartment buildings of industrialist Russov on Sadovaya Street. It can no longer be restored, but it can surely be re-created. My company is prepared to invest into this signature architectural landmark of Odessa. To get to that stage, first we need to resolve some paperwork formalities with the authorities. OR: What are the issues that you feel are most pressing for the development of Odessa infrastructure? RT: The lack of adequate engineering networks like sewage, storm drains, and electrical power is a major obstacle to the development of the city center. In Odessa, we were pioneers of finding alternate financing for city projects, such as the reconstruction of 35-50 year old city blocks, in the absence of a state budget. For example, the issue of wastewater runoff is a very long-standing one for Odessa, involving ecological risks, health risks, and the destruction of the environment of the Hadzhibeevsky Bay. We have developed a project for deep water runoff that could be implemented to the highest European professional standards and would provide a solution for all these problems. Problems with bureaucracy and corruption prevent this from happening, even though the project is 90% complete and could have been launched 3 years ago. OR: How does your travel experience inform your thoughts and plans on reconstruction and restoration? RT: If we want to see an attractive city that tourists want to visit, we can’t ignore the situation with building facades. The city government should address two issues — the roofs and the facades. If you find a high point in the city and look at Odessa from that perspective, you can immediately feel how it should look. The residents themselves should remember that air conditioners and outside cables do not improve the look of the city. During the restoration of one of the Russov houses, we took off kilometers of entangling cables, and this happens at every restoration site. OR: There is a well known axiom that Odessa is a European city. What does that mean to you? RT: European traditions. Architects and merchants from Italian, Jewish, Polish, Greek, Albanian and other cultures successfully mingled here. These traditions are now reflected in historic street names, for example. The uniqueness of living in Odessa is this multicultural legacy, multiplied by a distinctive entrepreneurial streak. Right now we are financing a research project conducted by historians of the Odessa University. It is called “The many faces of Odessa” and involves research into the life of Odessites of various nationalities and diasporas. I have great respect for what Aleksey Botvinov and Hobart Earle are doing for Odessa culture. Through supporting the efforts and events organized by such people, we can prevent Odessa from being reduced to an ordinary regional city in Ukraine. OR: Could Odessa become the beacon city leading Ukraine in the direction of the European way of life? RT: Yes, but to achieve this we must actually practice a European approach to business and politics, instead of declaring grandiose intentions while retaining a parochial mindset. OR: What meaning does the word “euro-integration” carry for you? RT: For me, it’s clean water in the sea, aesthetically pleasing buildings and a comfortable city. OR: In this case, what does this city still lack from the standpoint of your personal comfort? RT: Tolerance toward each other, the understanding that there are different points of view and ways of life. That is something we still have to learn, instead of saying “my opinion is the only correct one, and everything else is false.” For example, I really dislike the Ukrainian tendency to berate the Russians, but on the other hand I’m proud of having a Ukrainian passport. We just have to keep from lowering ourselves to the level of abuse. They are our neighbors, and we have to learn to communicate with neighbors for the benefit of our nation. OR: What is “beauty” to you? How does it affect your work with facade restoration? RT: Beauty alone is insufficient – it must be accompanied by comfort and purpose. I advise you to visit Starokonniy Rynok. We were able to turn the horror that was there 16 years ago into what you see now, at the same time retaining traditions and sentimental value of the place. Through these kinds of transformations we are changing the DNA, we are bringing about an evolution of the way people think about living in this city. OR: Your birthday is August 14th, and this year it falls on Builder’s Day, your professional holiday. How do you feel the significance of this day? What would you wish for your colleagues? And for yourself? RT: Every human being wishes for two things – for peace, and to have an occupation that pays the bills, of course on the condition that one is already in possession of family happiness. So I wish for stable jobs for the workers of the construction industry, and for all Odessites – to live in a peaceful city. And for myself… To learn to appreciate and enjoy the things I have.